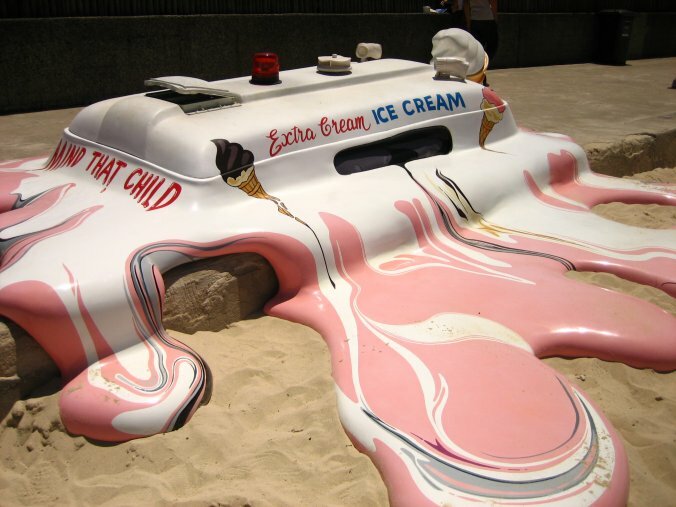 Well it just hit 45 degrees celcius…for those of you that don’t use celcius, that would be 113!! Ouch. The roads are literally melting too. I had to take a trip to the shops earlier and there are some wacky clouds forming on the range (Great Dividing Range) hopefully no more hail though. And, of course, I just finished typing that sentence and heard the first thunder clap. Here we go again! Ironically the above sculpture is titled: Hot With A Chance Of A Late Storm!